Wondering how to get to Spring Cycle this Sunday with track work in place? Sit back and relax, we’ve planned your trip ahead of time! Here are the affected lines and alternatives. T1 North Shore Line: Buses replace trains between Berowra and Gordon. T1 Northern Line: Buses replace trains between Hornsby and Rhodes. Central Coast & Newcastle Line: Buses replace trains between Central and Newcastle Interchange. Hunter Line: Buses replace trains between Scone, Dungog and Newcastle Interchange. Epping to Chatswood Line: Buses replace trains between Epping and Chatswood due to upgrades. Please note: It is at the discretion of the bus drivers to allow bikes on their bus. Find out more. From the Upper North Shore – Participants can utilise parking at Gordon Train Station. From there, participants with their bikes can catch one of the frequent trains to North Sydney. Trains run from Gordon to North Sydney every 10 to 15 minutes from 4:18am. From Northern Suburbs – Participants can consider utilising commuter parking at Concord West Train Station. 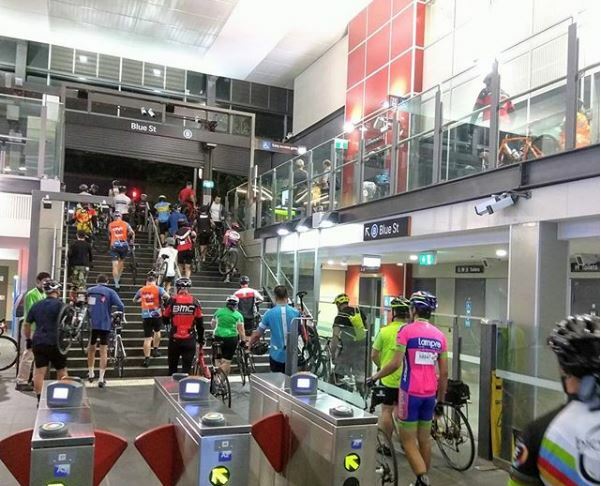 From there, participants with their bikes can catch a train to Strathfield to connect with an express service to North Sydney running which runs every 30 minutes from 5:30am. 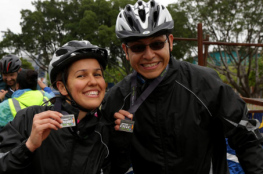 St Leonards Park – North Sydney Train Station is a short ride or stroll from the start area at St Leonards Park on Miller St for the 10km City Ride, 50km Classic Ride and 105km Challenge Ride. Turn left as you exit the station on Blue St, right onto Miller St and then straight up the hill to the start. A team of volunteers will be on site to help guide you as well. Parramatta Park – Parramatta Train Station is a short ride or stroll from the 18km River Ride start area in Pavilion Flat, Parramatta Park. As you exit the station turn left onto Macquarie St, right on O’Connell St and then left into the park via George St. If you are driving to Parramatta Park for the 18km River Ride start, please park in the O’Connell Street carpark. There is no parking along the Pavilion Flat Park as this will be a clearway for the event. Your event entry includes FREE return public transport travel across trains and ferries! 10km City Ride – The closest train stations are Central, Town Hall or Wynyard which are all a short ride (or walk) through the city. You can also jump on the light rail from The Star direct to Central Station. Find out more. 18km River Ride, 50km Classic Ride and 105km Challenge Ride – There will be express trains from Olympic Park back to the North Shore approximately every 20 minutes from 9:00am until 3pm stopping at Strathfield, Redfern, Central, Town Hall, Wynyard, Milsons Point, North Sydney, St Leonards, Chatswood and Lindfield. To connect with trains to the West, Olympic Park Sprint services to Lidcombe run every 10 minutes. We look forward to seeing you on event day!